Built for the court, the One Star launched in 1974 as the groundbreaking low-top off-shoot of the All Star. Just a year later, it disappeared from the Converse line-up. 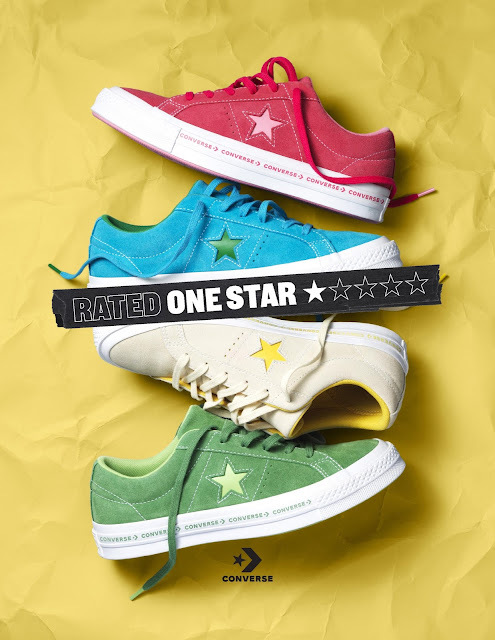 Despite being a relative underachiever on its original release, the One Star re-emerged in the ‘90s, when it was adopted by skate and street communities and built a heritage associated with anti-conformity across the world. In a nod to its history, and renewed icon status, the One Star lineup for Spring 2018 is complete with bold colors and new takes on classic design elements – like the 1970s court-inspired “hairy” suede and an original Converse camo print. 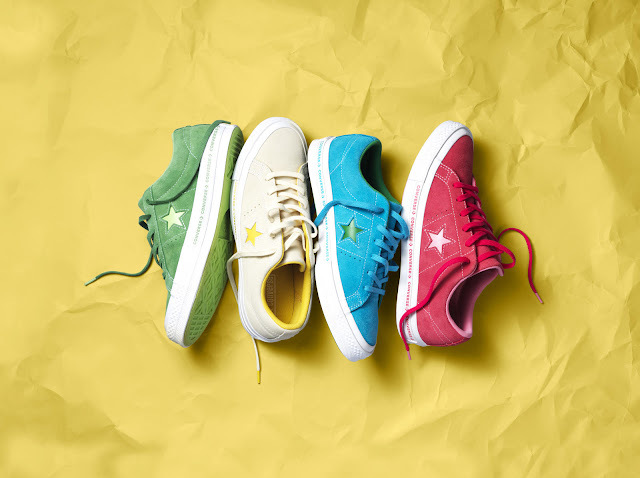 The Converse One Star Spring 2018 Collection launches February 1 on converse.com and at Converse stores and global retailers.